We meet every fortnight on the 2nd and 4th Monday of each month from 18:45 for a 19:15 start (except Bank Holidays). We are conveniently located only two minutes walk from Hammersmith tube station on the District, Piccadilly, and Hammersmith & City Lines. 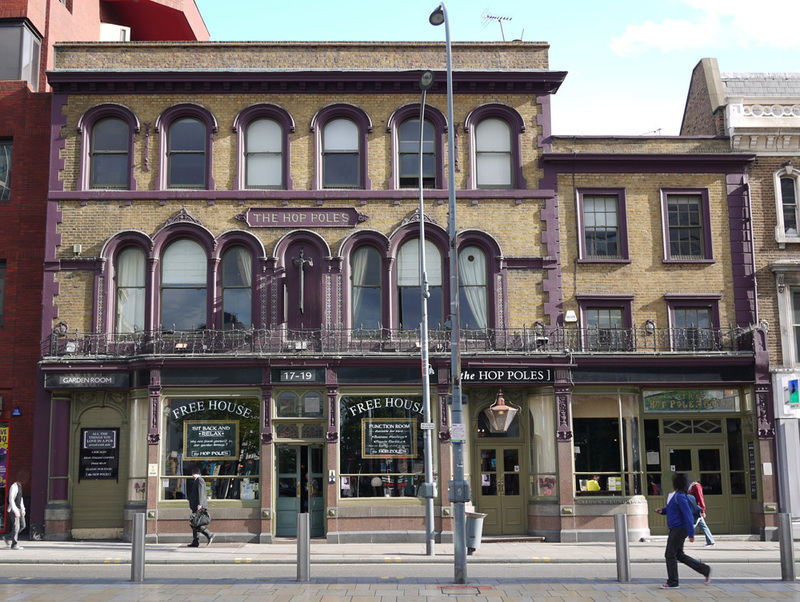 You will find us in the upstairs Function Room at The Hop Poles pub. Take a train or a bus to Hammersmith Station. Coming from the District and Piccadilly lines, or from the bus station, take the exit for the Hammersmith & City line that is in a separate station on the other side of the main road. Between the two stations, take the turning for King Street where you will see Pret, Café Nero, and Rymans. The Hop Poles is about 30 yards on the left.